McCormick makes preparing Swedish meatballs easy, with separate meatball seasoning mix and sauce mix. 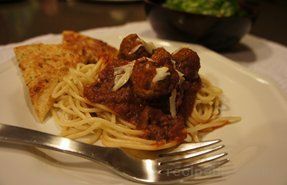 The creamy sauce is the perfect accent for the flavorful meatballs. 1. Mix Seasoning Mix and water in large bowl. Add ground beef; mix well. Shape into 1 1/2-inch meatballs. 2. Heat oil in large skillet on medium heat. 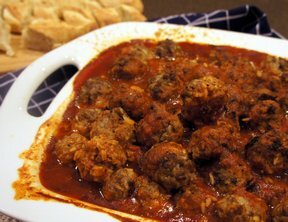 Add meatballs; cook 8 minutes or until cooked through, turning frequently. Remove meatballs; drain fat. 3. Stir milk and Sauce Mix into skillet. Stirring frequently, simmer on medium heat until sauce comes to boil. Reduce heat and simmer 1 minute or until thickened. Add meatballs to sauce; cook until heated through. Serve over cooked noodles or rice. To Bake Meatballs: Prepare meatballs as directed. Bake in foil-lined shallow baking pan in preheated 375°F oven 12 minutes or until cooked through. To Microwave Sauce: Microwave milk and Sauce Mix in 2-quart microwavable bowl on HIGH 6 minutes or until thickened, stirring halfway through cooking time. Stir in meatballs. 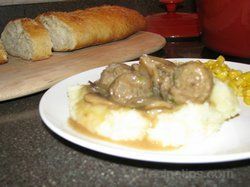 Swedish Meatballs with Mushrooms: After removing cooked meatballs, add 1 cup sliced mushrooms to skillet. Cook and stir 2 minutes or until tender. Remove from skillet. Continue as directed.